Leading polar cruise specialist, One Ocean Expeditions, is redefining Antarctic cruising by providing quicker access to the destination and increased time to experience the magic of South Georgia, the Falkland Islands and Antarctica with the introduction of new charter flights from Punta Arenas, Chile. Exclusive to One Ocean Expeditions and new for this year, these journeys have been designed to enable adventurers and world travellers to get closer to the Antarctic continent for longer, in style and without lengthening voyage times. Eliminating the crossing of the infamous Drake Passage can save over 48 hours and allows more time to access remote and untouched areas and to fully engage in the abundant choice of activities both on and off the expedition cruise ship. Activities such as wildlife viewing, ice photography and kayaking to name a few. These new itineraries offer a small group experience of 70 passengers, allowing more flexibility to customize programs according to individual preferences and increased staff to guest ratio. In other words, less travel time with more experiences and individual attention. Four new cruise itineraries, with departures from October 2015 through to March 2016, were recently launched on the One Ocean Voyager/Akademik Sergey Vavilov, each one with inspired new options. The South Georgia In-Depth program says it all. It’s the first of its kind! The new 13-night voyage departs from Stanley in the Falklands, and gives guests seven consecutive days to discover South Georgia and the ‘greatest wildlife show on earth’. They will see king penguins by the hundreds of thousands; elephant seals fighting for territory to mate with their harems; fur seals mating, pupping and clustering the beaches; as well as a profusion of seabirds from albatross to giant petrels and skuas. Travelers will also pay a visit to the resting place of British explorer Sir Ernest Shackleton, along with many other historical sites rich in polar history. Prices for the 13-night South Georgia in Depth program start from US$10,145 per person including flights Punta Arenas/Stanley, all food and accommodation onboard, plus zodiac excursions and landings, ship transfers and foul weather gear. Departure date 17 – 31 October 2015. Falklands and South Georgia, the 14-night voyage departs from Stanley and offers eight full days in South Georgia. It encompasses the height of the Antarctic summer with young pups and chicks almost doubling the resident population along the beaches. A visit to Sea Lion Island is included on this voyage, with an opportunity to see diverse species and colonies of gentoo, magellanic and rockhopper penguins, cohabiting in harmony on the Falkland Islands, a British colony with a rich history. Prices for the 14-night Falklands and South Georgia voyage start from US$12,995 per person including return flights Punta Arenas/Stanley, all food and accommodation onboard, plus zodiac excursions and landings, ship transfers and foul weather gear. Departure date 30 January – 13 February 2016. 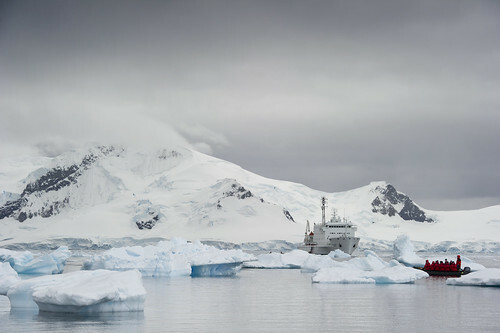 Ultimate Antarctica Amongst Emperors and Kings, the 11-night voyage departs from King George Island and travels to Stanley via Antarctica and the Weddell Sea. The diversity of wildlife found on this voyage is unlike any other 11-night Antarctic itinerary. On this voyage guests will have the opportunity to view and photograph the gigantic and elegant king penguins ranging from 18-37 inches in height. The kings along with chinstrap, Adelie and gentoo penguins are abundant in this unique region. They have a gift to amuse photographers and curious adventurers. Pushing into the vast expanse of the Weddell Sea, there are miles of tabular icebergs to discover along with elusive emperor penguins, incredible landscapes and brilliant photographic opportunities. This cruise will also explore historical interest for both Sir Ernest Shackleton at Elephant Island and the Nordenskold expedition at Paulet Island. Prices for the 11-night Ultimate Antarctica Amongst Emperors and Kings voyage start from US$10,595 per person including flights Punta Arenas/King George Island and Stanley/Punta Arenas, all food and accommodation onboard, plus zodiac excursions and landings, ship transfers and foul weather gear. Departures December 2015, January and February 2016. Antarctic Peninsula Explorer and the Falkland Islands, the 10-night voyage departs from Stanley and sails to Sea Lion Island, an expedition stop rich in wildlife including elephant seals, sea lions, rockhopper, gentoo and magellanic penguins. Guests will explore the impressive western coastline of the Antarctic Peninsula, visiting many of the same locations as One Ocean Expeditions’ classic Antarctic Peninsula Adventure, such as Wilhelmina Bay, Errera Channel, Paradise Harbour and the flooded volcanic caldera at Deception Island. Prices for the 10-night Antarctic Peninsula Explorer and the Falkland Islands voyage start from US$9,795 per person including flights Punta Arenas/Stanley and King George Island/Punta Arenas, all food and accommodation onboard, plus zodiac excursions and landings, ship transfers and foul weather gear. Departures December 2015, January and February 2016. One Ocean Expeditions’ cruises provide flexibility and adaptability and memorable educational experiences both on and off the ship. Zodiac excursions led by a team of dedicated and knowledgeable staff are offered daily. Workshops of all kinds ranging from photography, history and marine biology to hiking, wildlife and visits to science stations are part of the daily program. There is something for all ages and fitness levels.